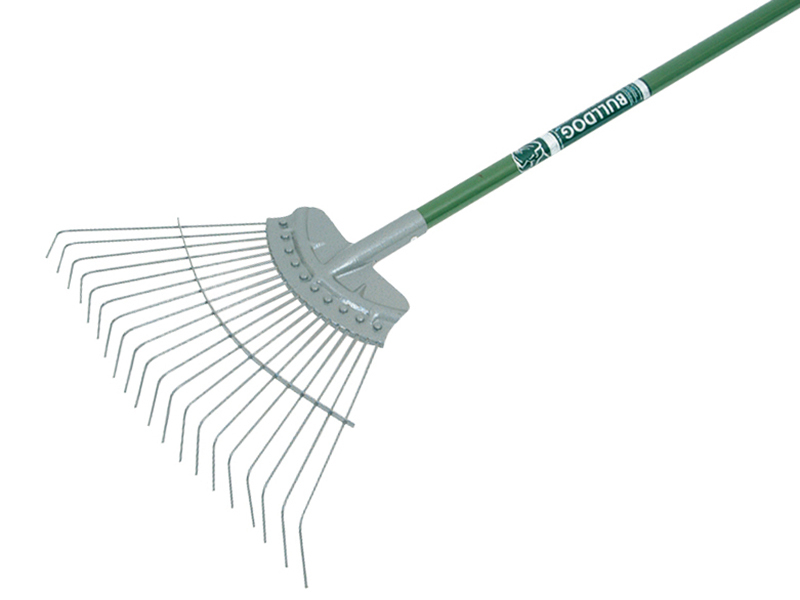 The Bulldog Evergreen Lawn Rake is fitted with a lightweight, Aluminium handle with non-slip comfort feel grip. 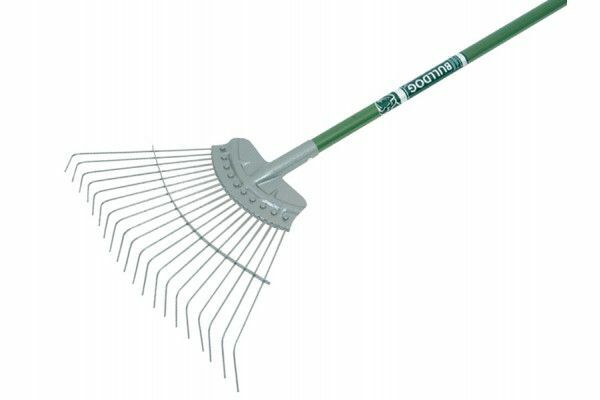 This fan shaped lawn rake features twenty long flexible steel tines designed to gather up moss or dead grass without damaging the soil. Bulldog Evergreen garden tools are manufactured to the highest standards, offering a 10 year guarantee against faulty workmanship and materials.